The anniversary event of Svajerløb will be taking place on 18. August 2018 in Copenhagen. The legendary cargo-bike race has been carried out in the Danish capitol for several centuries. It is a non-profit event and has been initiated by bike-loving Hans Bullit Gogh (Larry vs. Harry) and Søren Houen Schmidt (Rekommanderet). This race lives of the voluntary help and the passion for cycling. The obligatory entry fee of 50DK will be used for prices and for the organisation of the race. In this cargo-bike race a certain parcours has to be mastered and you don’t have to be a sportperson but rather skilful to compete. On the same day the women’s and men’s tournament will be held. Both races will be evaluated seperately. All sorts of cargo-bikes can participate - bicycles, tricycles and old-timers as well. Participants will compete in mixed teams of four. 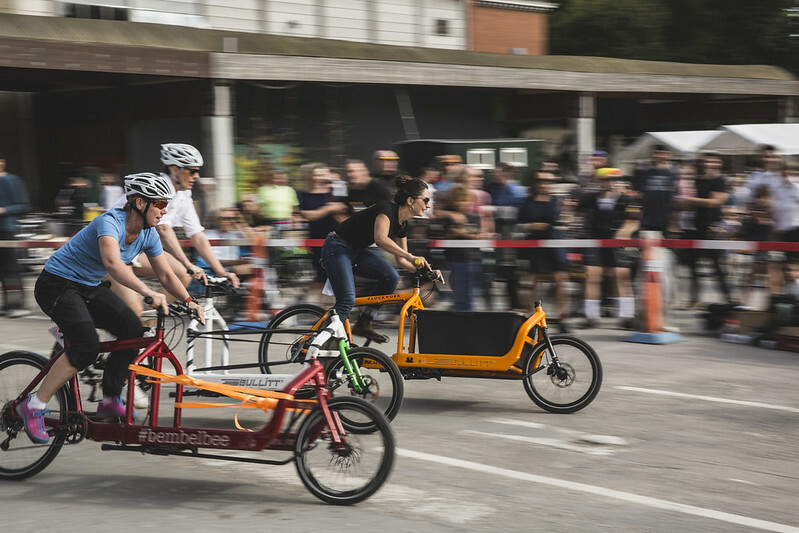 Altough Svajerløb is a Danish cargo-bike competition, everyone and all nationalities are invited to participate. You don’t have to be an athlete, it’s the sportsmanship that counts - and the possibility to spend a wonderful day with like-minded people.